3M™ E-A-R™ TaperFit™ 2 large-size uncorded earplugs are designed to fit comforatbly in larger earcanals. Its smooth foam expands in the earcanal to help provide comfortable hearing protection. 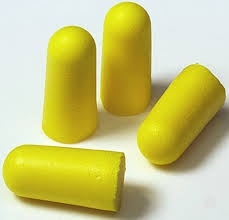 Soft, roll-down foam earplugs expand to fit the earcanal and provide a low-pressure, comfortable seal. Noise Reduction Rating (NRR)*: 32 dB. CSA Class AL.